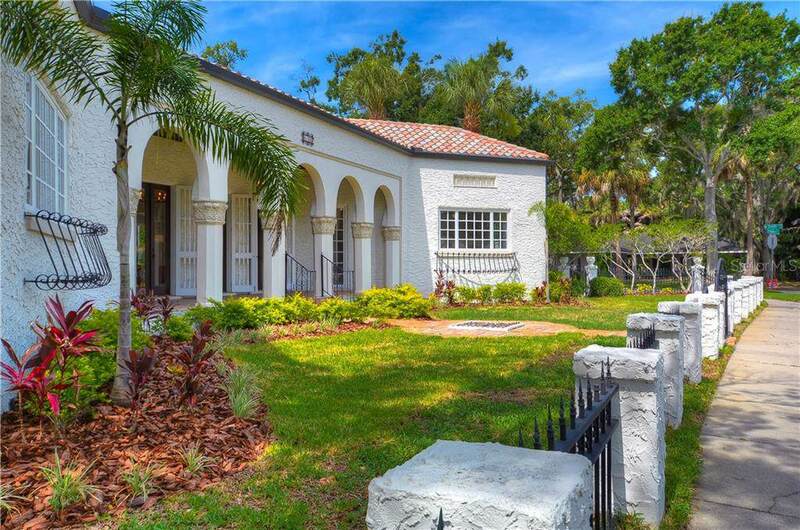 Presenting your chance to own a piece of Tampa history with one of the Beach Park neighborhood original estates. The entire Beach Park development was once owned by Henry B Plant. He sold the land to developers who required all the homes be constructed in the Spanish Mediterranean Revival style. 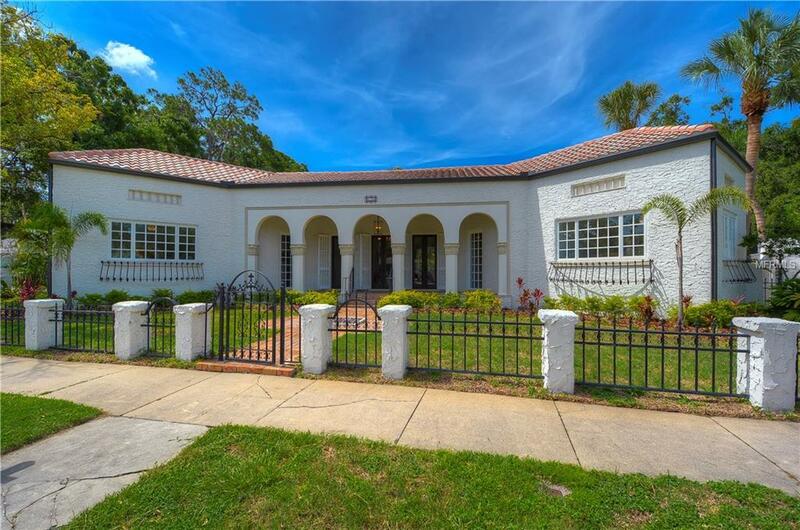 1 of 80 original 1920's homes still standing, this 2766 sq ft 4-bedroom 3-bathroom home is timeless. Built proudly on its prominent quarter acre corner lot, this stunning display of craftsmanship has been admired by residents for 93 years. The curb appeal of this home is radiating as you approach through the wrought iron gates and first view the wide front porch. Enter the home through the triple French door access and gaze at open space and 12 foot ceilings. The grand gas fireplace is the center of attention at first, but as you wander your way through the home your imagination runs wild with possibilities. Once inside youll want to take your time and relish the finishes including; Glass door knobs, original doors with key, crystal fixtures, crown molding, Viking Appliance Package, marble counter tops, stainless farm sink, original wood floors, and elegant tiled bathroom showers and floors. A pavered pool deck and swimming pool are provided for outdoor entertainment. Carriage 2 car garage and off street parking pad make room for more modern modes of transportation. Close to premier shopping, Tampa Int, Top Restaurants, Tampa Bridges, Local Interstates. 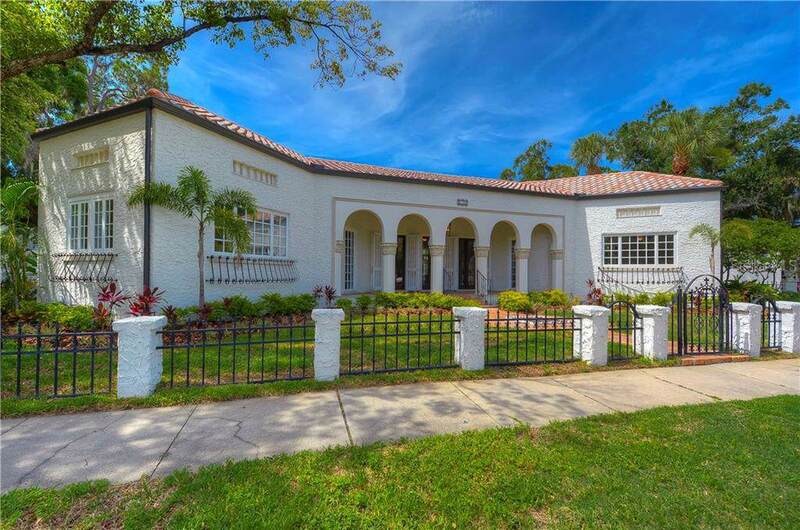 Make your private showing to view some Tampa History today!